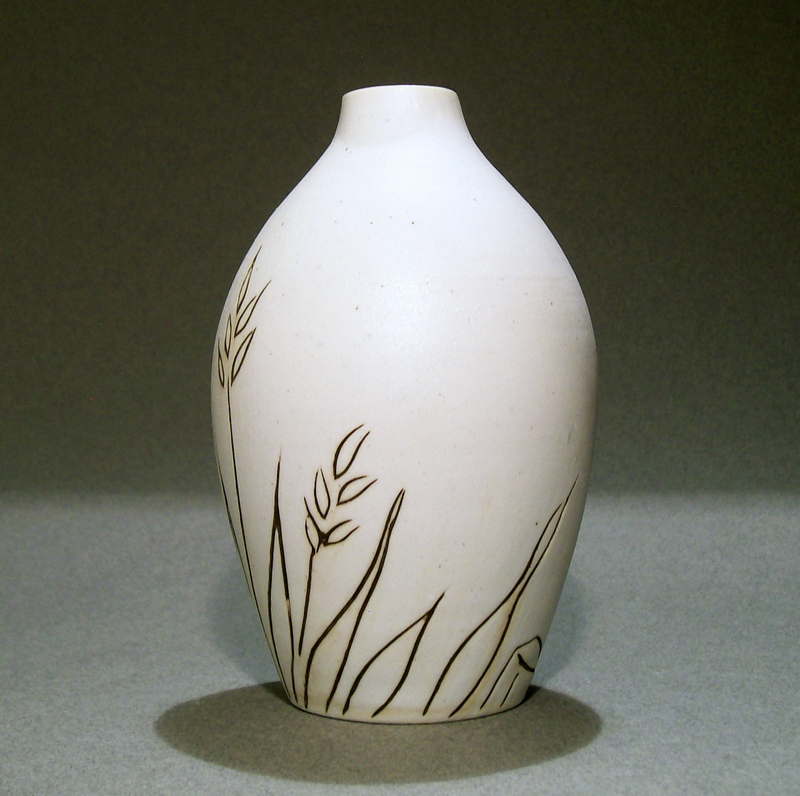 * Grass Bud Vase– grolleg porcelain decorated with incised lines and inlaid mason stain, cone 10 reduction. Past revisited- time for reinvention. The future appears, finds me waiting. Before innocence was scorned, before love fled. Distract me from vision, entertain me not. I live here and now, with meaningless vanity. Get caught up in pleasing,’til they throw me away. Monkey see, monkey do, no self-reflection. Stuck in my head, they won’t leave me alone. Words are the enemy, the weapon, the lies. Words are contention, confusion- keep all inside. Obsess over words spoken, they plan my demise. Too many thoughts, lines I despise. Silence is resolution, silence is me. This entry was posted in Art, Ceramics, Creative Writing, Deep Thought, Fear, Philosophy, Photography, Poetry, Uncategorized and tagged bud vase, ceramics, connection, depth, drawing, grass, inlay, kira call, lies, monkey see monkey do, poem, poetry, porcelain, reason, reflection, silence is me, words. Bookmark the permalink.